With its bold striking colours, the Clark’s anemonefish (Amphiprion clarkii) is a very popular species amongst marine aquarium hobbyists. Unfortunately, with over 90% of species in the marine aquarium trade taken from the wild, efforts to culture them successfully in captivity and thus reduce the need to take them from the wild are ongoing. The Clark’s anemonefish will readily breed in captivity and here in the FishLab at Landaa Giraavaru’s Marine Discovery Centre, we have been breeding these fish in order to study how their larvae develop and how we can successfully rear them to adulthood. Throughout July and August we had 18 spawns from our Maldivian Clownfish (Amphiprion nigripes), and a further 18 batches from the Clark’s Clownfish (Amphiprion clarkii) breeding pairs. 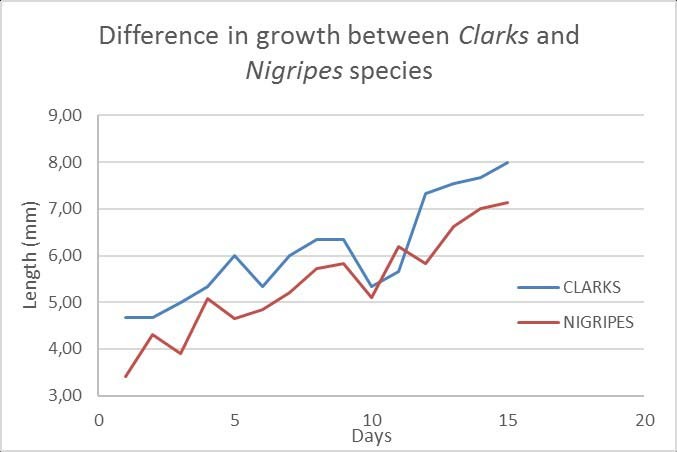 Following recent breeding programme experiments, we can see that Maldivian Clownfish are most vulnerable and their growth is slower than the Clark’s species. 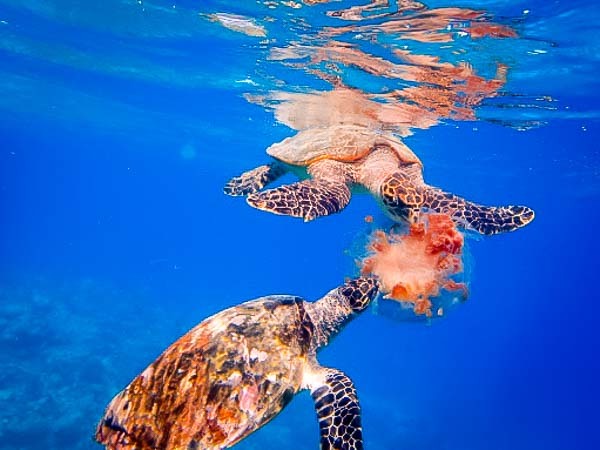 During each spawn, the Clark’s produced an average of one thousand eggs, whereas the Maldivians only produced one hundred eggs. This difference may be due to age and maturity differences between the fish, as the Maldivian breeding pairs are smaller than the Clark’s. 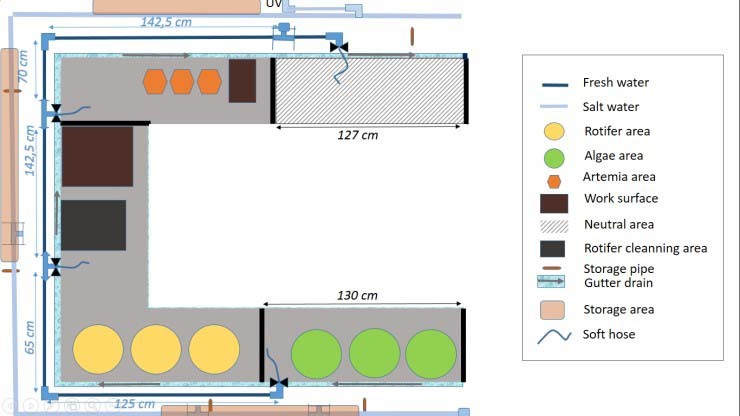 re-design of our Fish Lab and plankton production room, to improve work flow and increase hygiene levels. 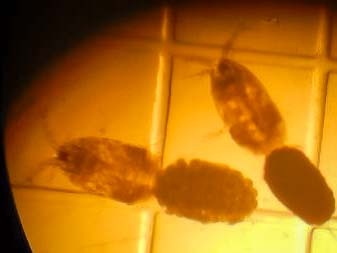 We have started collecting Copepods (tiny crustaceans) from our turtle pools as an alternative live food source. Currently the experiment is going well, with large numbers of Clownfish larvae healthy and active on a Copepod diet up to Day-24. We are also expanding our ‘Anemone Garden’ with wild Heteractis magnifica anemones collected from nearby lagoons. Using ‘scissiparity’ reproduction by cutting one individual into two clones, we now have ten individual anemones slowly growing and recovering their natural colouration. 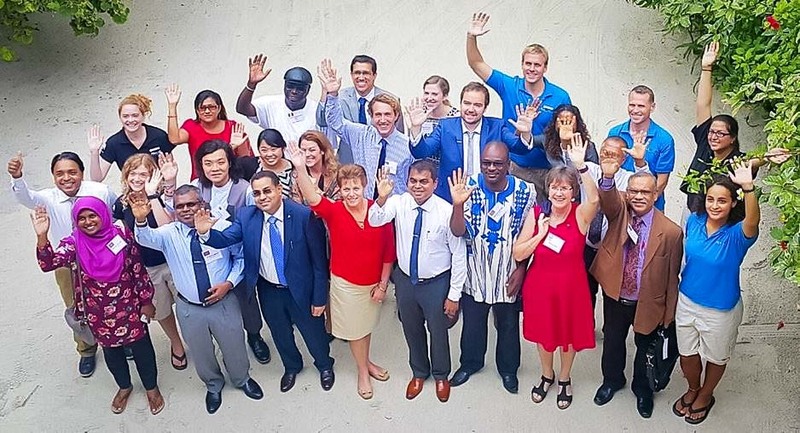 Our Seamarc and Manta Trust teams of marine biologists talked about our conservation projects, as we welcomed Maldivian Ministers and their counterparts from Bangladesh, Benin, Burkina Faso, Fiji, Mauritania, Senegal and Sri Lanka to discuss the crisis facing these species. “Recognizing the importance of Shark and Ray Conservation, this symposium brings together co-sponsors of either one or more proposals of Silky Shark, Thresher Shark and Mobula Rays proposed to be listed in appendix II of CITES in the upcoming COP17 of the convention“. 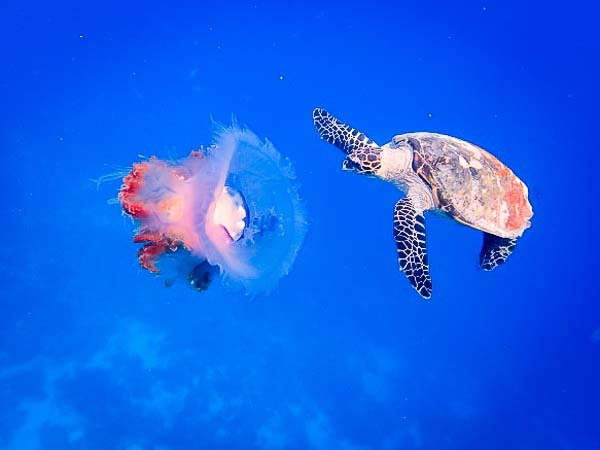 two male Hawksbill turtles feeding for 20 minutes on a live Purple Crown Jellyfish (Cephea cephea) at Makunudhoo Reef. 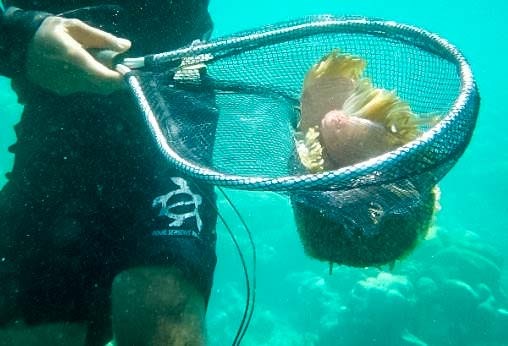 The Baited Remote Underwater Video (BRUV) project has been in full swing at Kuda Huraa, with our marine biologists looking to discover if the destructive Crown of Thorns starfish has any natural predators living in surrounding Maldivian waters. Euthanised COT’s are placed at specific locations around the island, with cameras recording the action. We have seen some interesting results already, but also many amusing moments! We’ve put together a short video with some of our favourite underwater visitors captured by our cameras in the last couple of months. There seem to be a few fish who fancy themselves as models in the Kuda Huraa channel … and others who seem to be as interested in our set up as we are in them!